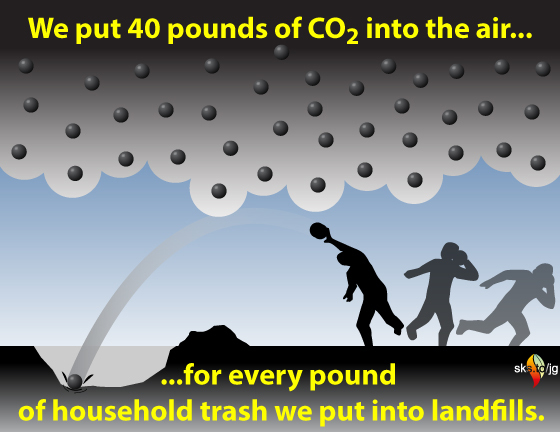 SkS authors discussed various ideas to illustrate our impressive CO2-to-trash ratio and we settled on the shot-put image to convey the weight and significance of our CO2 emissions. Imagine tossing a chunk of iron or shoe-box sized rock. For each one you toss, another forty dissolve in the air and disappear. Or do they? About 45% of the CO2 we put in the air stays there, with 30% going into the biosphere(plants, animals and soil) and the remaining 24% is absorbed into the oceans, (Canadell et al 2007). Of course, the CO2 that goes into the ocean is changing the chemistry of the seawater, with severe consequences for ocean ecology. Unprecedented climates will be experienced soonest by those countries nearest the equator that have become adapted to historically stable tropical conditions (Mora et al, 2013). These typically poorer countries have fewer financial resources to draw upon to adapt to a changing climate. They are also countries that have done less than average to contribute to the problem, either in terms of greenhouse gas emissions or, for that matter, as garbage (e.g., see this UNEP report, page 37). Greenhouse gases have mainly come from wealthy people living in temperate climates, but the consequences of dumping of them into the atmosphere will be felt first by the poor in the tropics and later by all our descendants everywhere. 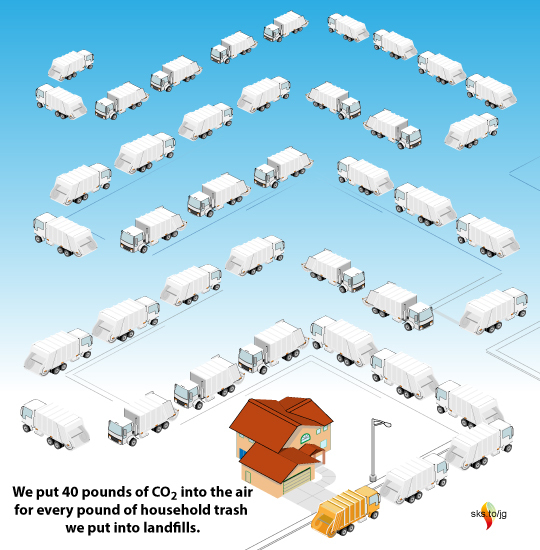 The website Carbon Visuals has some excellent info-graphics that help visualize the huge quantities of our emissions. They offer a free poster for download (pdf, 10MB). Please leave any comments at Skeptical Science. This entry was posted in Hard Science and tagged CCS, Emissions. Bookmark the permalink.